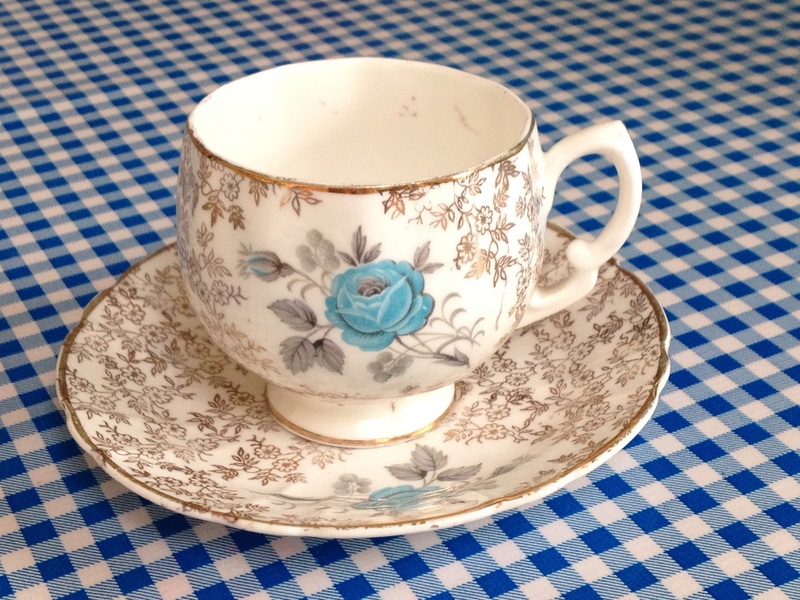 I am obsessed by collecting vintage teacups. My house has shelves and a lovely old welsh dresser stacked full of them. I simply can’t resist! Any opportunity to visit a vintage/antiques shop/fair and I’m there, searching for teacups. Its a popular hobby as I’m told to believe. It also helps that it’s a generally cheap hobby too. Especially when looking for treasures in flea markets/car boots etc. Okay, if you are searching for a particular manufacturer or a design, then yes, you can pay quite a bit of money, however generally, teacups are as cheap as chips. Although always being a bit of a magpie and liking pretty things, my odd bit of a collection transformed itself when reading “The Vintage Teacup Club” written by Vanessa Greene. Its a lovely book about 3 women coming together by way of collecting old teacups. Lots of lovely descriptions follow and yes, of course, it has a happy ending. Teacups were first used in China from about 220AD and in Europe from the early 1600’s. Tea was originally sipped from small bowls, however as this was not ideal for the tea drinker, not to mention a bit awkward! From this, teacups progressed into cups with handles on which were much easier to sip from. 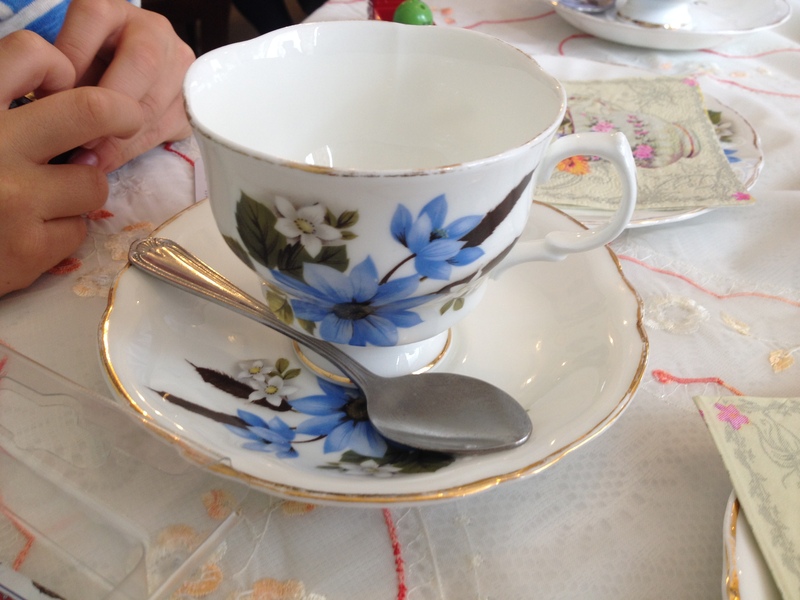 Tea cups are different from coffee cups in that they are generally wider and shorter. 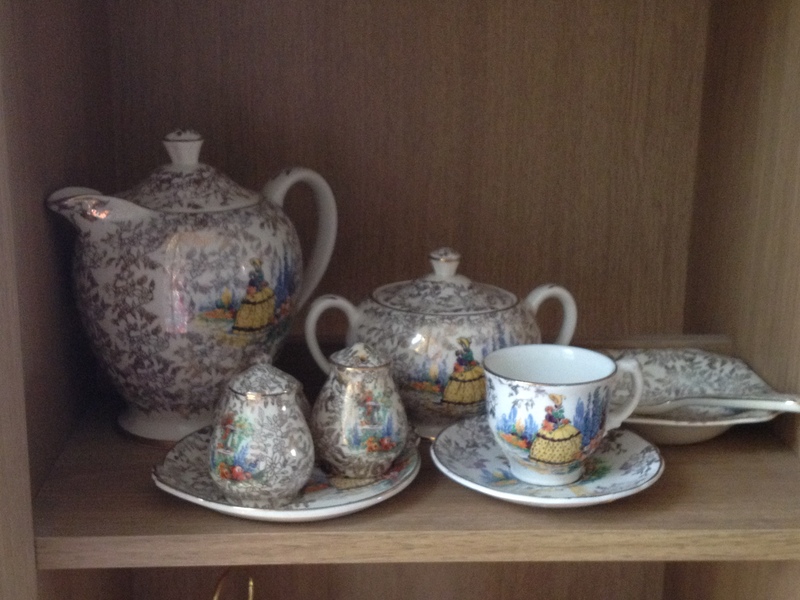 They often come part of a teaset, including a teapot, sugar bowl and cream jug. 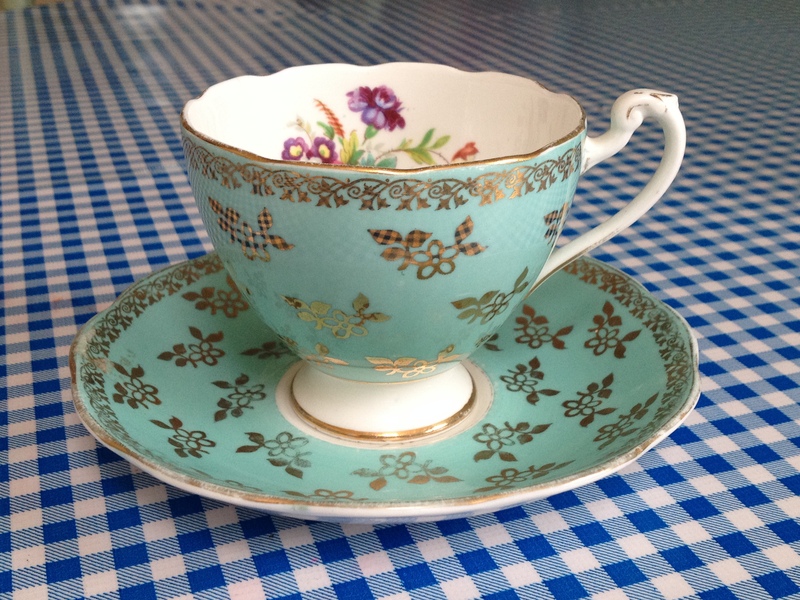 Tea time in England really took off with the Victorians, where teacups and teasets in general were given as gifts. Teacups in China and Japan are continued to be made from clay and porcelain, whereas in India, they are manufactured from glass and stainless steel. In Europe and the UrK, china is the most popular material. If you are looking to start a collections, then have a look at Royal Doulton, Limoges, Wedgewood, Meissen, Aynsley (my favourite), Royal Crown Derby and Colclough. There are quite a few others too. Teacups generally come in a variety of patterns, designs and colours, just take your pick! As mentioned, they are generally low cost to buy. However, they are of course delicate objects, so no dishwasher please! Instead, handwash delicately in luke warm soapy water and leave to dry. 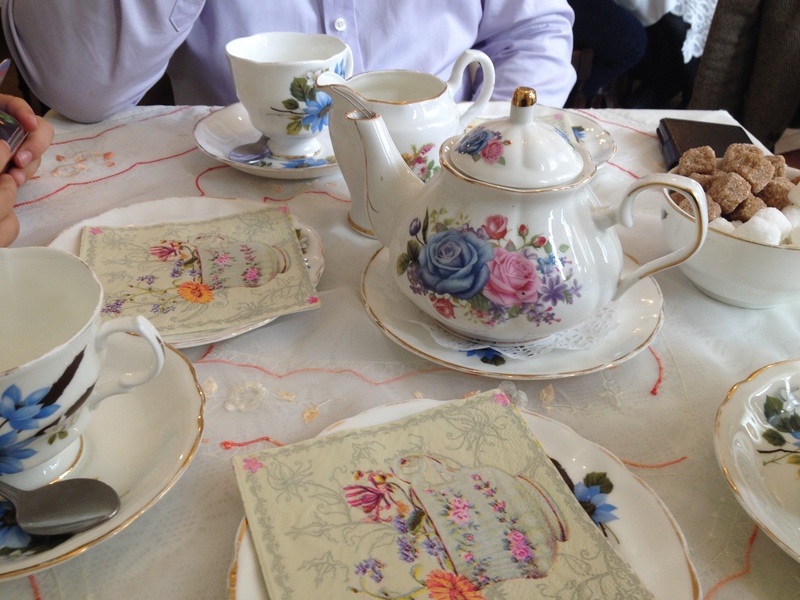 I think that I am obsessed by crinoline lady crockery. My weekends seem to consist of visiting vintage or antique shops or even better, if a vintage fair is on that weekend. 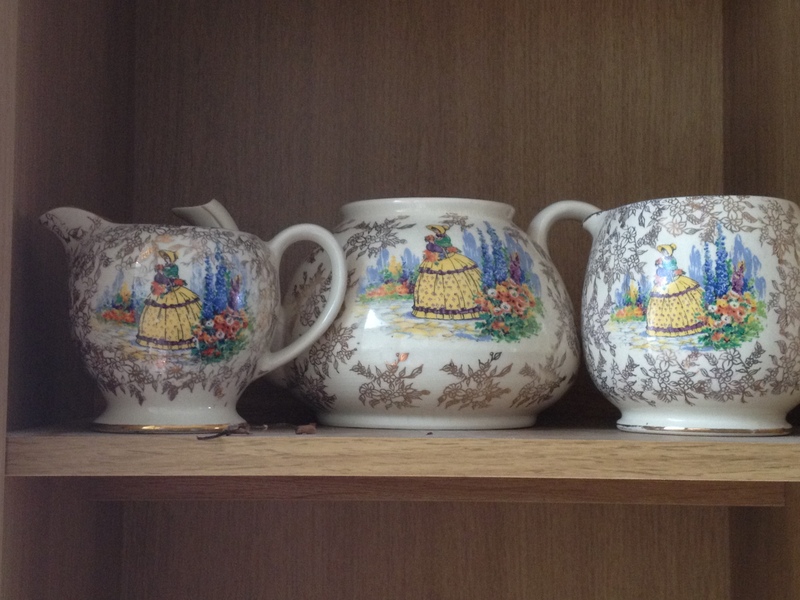 I think it all started with my mum collecting Crinoline Lady china, generally produced by Sadlerware. Everytime anyone went on holiday we would scour antique shops for anything resembling the pretty crinoline lady. Over the years she amassed all sorts of items, from teapots to teacups and jam servers to cake stands. Even now I still see the occasional piece of crockery. The trouble is that I can’t remember what items I have! Some treasured pieces are on display at home, but there are a few items that are stored in the loft. I keep meaning to make an inventory, but never seem to get round to it!